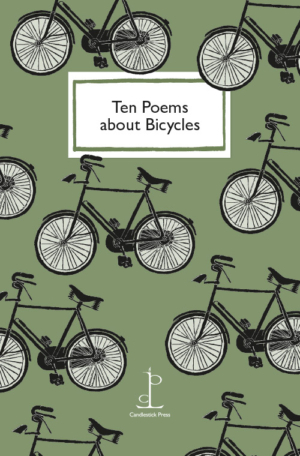 Poignant, humorous and unexpected by turn, these poems will delight anyone who loves cycling – as well as those who just like to remember those carefree days when falling off didn’t seem to matter. Poems by Connie Bensley, James Roderick Burns, Jonathan Davidson, Michael Donaghy, Jonathan Edwards, Jacqueline Gabbitas, MK Joseph, Derek Mahon, Paul McLoughlin, Helena Nelson. Cover illustration by Rosalind Bliss.